Burundi Media Regulator CNC has suspended this Wednesday, April 11, 2018, the online commentary column of Iwacu newspaper for three months. Iwacu newspaper direction says to be saddened by the decision. 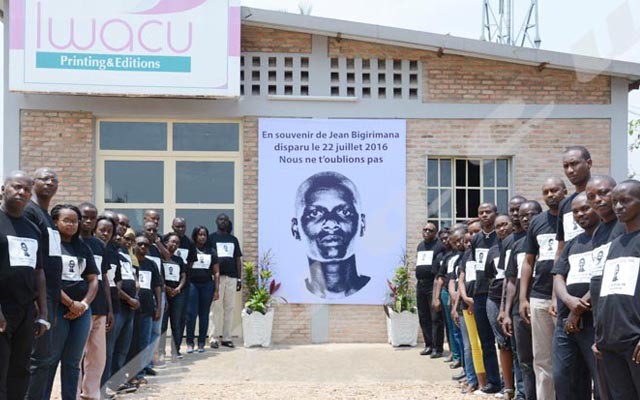 “Iwacu has gone against professional standards, the reason why CNC decides to suspend the column for three months from now”, says Karenga Ramadhani, Chairman of Burundi Media Regulator-CNC. Kaburahe says Iwacu regrets this decision which it considers unfair. Iwacu newspaper thanks all its readers wherever they are and sympathizes with them. “Iwacu is saddened by the suspension of this small forum for freedom and expression that we have been sharing for 10 years,” says the director of Iwacu newspaper publications.